The song was written by John Hurley and Ronnie Wilkins. 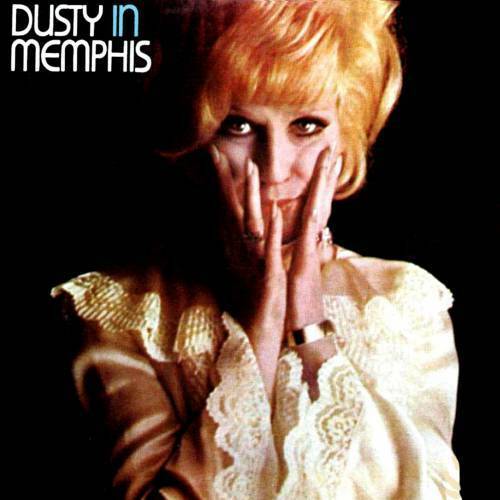 It was released first on Dusty Springfield’s 1968 album Dusty in Memphis. The single was also released in 1968 backed with “Just a Little Lovin’ on the B-Side. “Son of a Preacher Man” was an international hit for her, going to #10 on the U.S. Billboard Hot 100, #12 on Cash Box, #9 in the U.K., #6 in Australia, #11 in Canada and Ireland, and #4 in The Netherlands. The song was originally offered to Aretha Franklin, who turned it down. Aretha’s sister Erma Franklin recorded it in 1969, and Aretha reconsidered the song, releasing it on her 1970 album This Girl’s in Love with You. It has been a popular song for covers, including versions by Skeeter Davis, Bobbie Gentry, Ketty Lester, Liza Minnelli, Nancy Sinatra, Tina Turner, Farmer’s Daughter, Hank Marvin, and Dolly Parton to mention a few. Dusty Springfield was born Mary Isobel Catherine Bernadette O’Brien in West Hampstead, North London, England, in 1939. She joined a group called The Lana Sisters in 1958 and then formed a pop-folk vocal trio The Springfields, which included her brother Tom Springfield and Tim Felid. She began her solo career in 1963 and had hits with “I Only Want to Be with You,” “Wishin’ and Hopin’,” and “I just Don’t Know What to do With Myself,” “What Have I Done to Deserve This?” and more. She loved pop music as well as soul music and brought Motown artists into the U.K. consciousness. She went on to become one of the Sixties pop stars and best-selling female singers in the world. She had issues with alcoholism and drug dependency. She was diagnosed with bipolar disorder. In her personal life, she was never reported to have a heterosexual relationship and lived for a time with in a domestic partnership with singer Norma Tanega. There were also other romantic relationships with women in Canada and the U.S., including one with photojournalist Faye Harris. Springfield died of cancer in 1999. If you are interested in other songs by Dusty Springfield: “You Don’t Have to Say You Love Me” and “I Only Want to Be With You,” which is on Pass the Paisley’s sister site The Daily Doo Wop. The Pass the Paisley Groove Pad is a resting stop, a place to chill out and listen to the featured song on the stereo. If the mood strikes you, click on the juke box to access and listen to the 50+ free online songs there. The TV has several channels, with selections updated twice a week. Every now and then, Pass the Paisley hosts an all-request of 1960s and 1970s songs for a Be-In at the juke box in the Groove Pad. Keep on truckin’. Hope you enjoyed “Son of a Preacher Man” by Dusty Springfield.